Following last weekend´s fun and exciting Latina Cook-Off, where we participated with my mom`s very own Quinoa Pilaf with Pistachios and Bacon, I decided to come back to this extraordinary ingredient that is taking the world by storm. 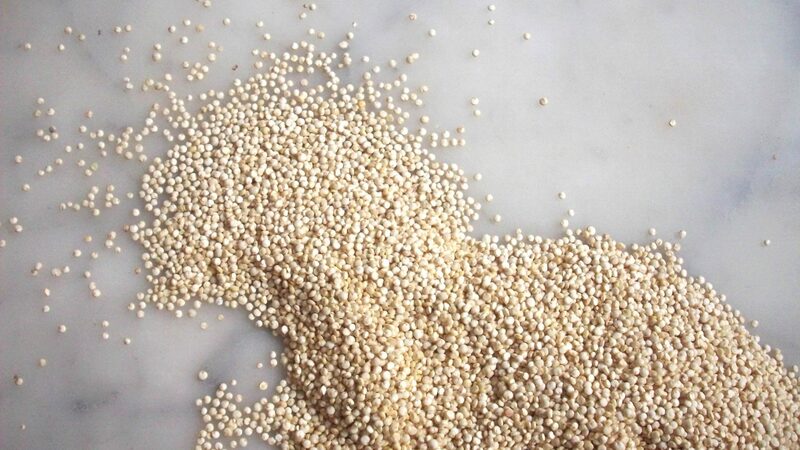 Chances are you are familiar with Quinoa (pronounced keen-wah)or have heard of its nutrient dense properties. “A complete protein” is what I´ve heard the most when it comes to this powerhouse. And indeed it is a complete protein, as it contains all 8 essential amino acids, on top of iron, calcium, vitamin E and vitamin B. 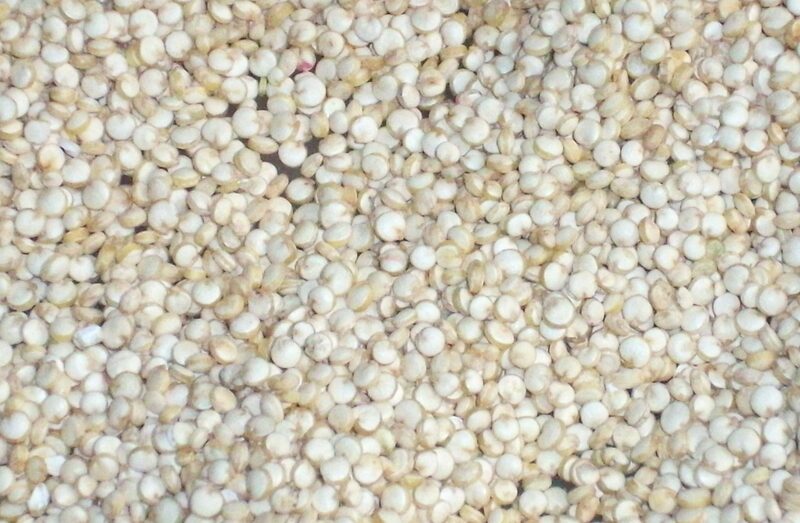 What very few people know though, is that this wonderful food is not a grain, it’s a seed. I learned this from a friend whose glucose was alarmingly high and was prohibited to eat any sugars or grains by her Chinese medicine homeopath. She broke the wonderful news: Quinoa was more than OK. So party on all you people on low carbs/low sugar diets! This said, Quinoa is usually treated as a cereal. It has been a staple of the Andean diet throughout the centuries, and it grows high in the mountains despite the cold weather. The Incas considered it sacred because it provided them with energy and good health, and they offered it to their gods. 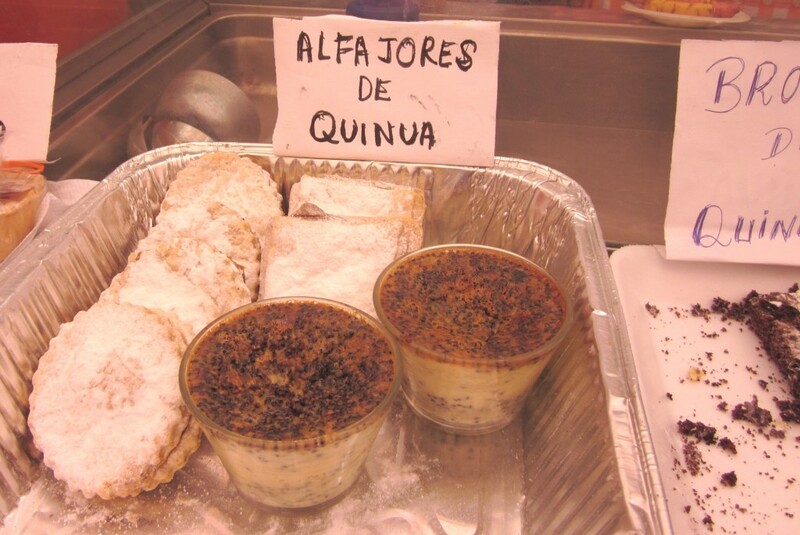 When my mom moved to Peru over 30 years ago, nobody she knew ate Quinoa. There was still a very strong class and racial bias in the atmosphere (much more than there is now), and the ancestral seed was seen as something only the poor and uneducated from the mountains ate. But how very un-educated of snobby Limeños to look down on such a wonder from nature! Luckily for them, things have changed. They were missing out on so much and didn´t even have a clue. On a more international note, I lived with my friend Kate in New York´s West Village back in 2005. 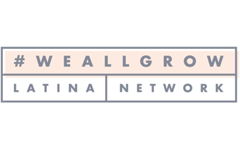 She used to dig all kinds of health trends (that is, when we weren´t gobbling down the complete stock of cupcakes at Magnolia Bakery around the corner), and I would buy Quinoa at the health food store all the time and make it for us. She loved it and thought it was the most exotic thing ever. We laugh at this now, as it´s only been a few years since then and Quinoa is already all over the health scene and beyond. Everyone she knows consumes it all the time nowadays, just like good ol´ rice or couscous. Makes me feel like a proud pioneer. 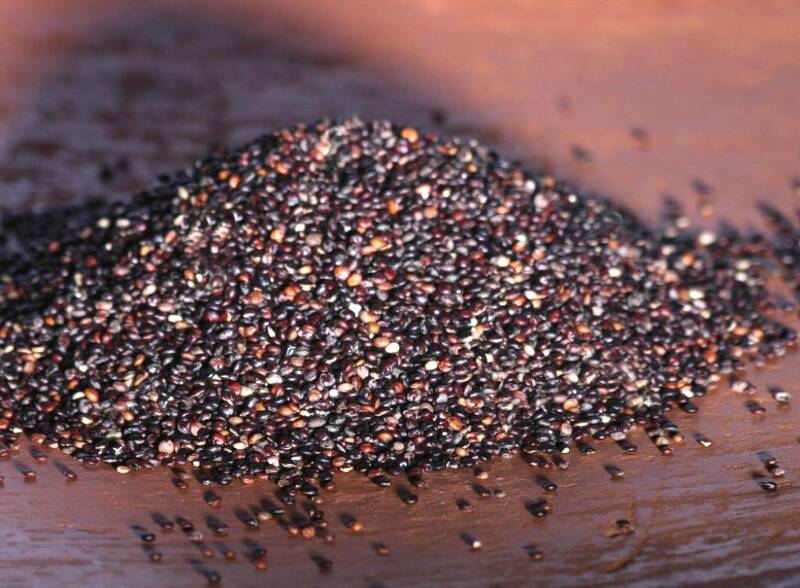 There is white, red, and black Quinoa. All of them are cooked the same way, and you can make them in soups and stews, in desserts, or like rice or risotto. 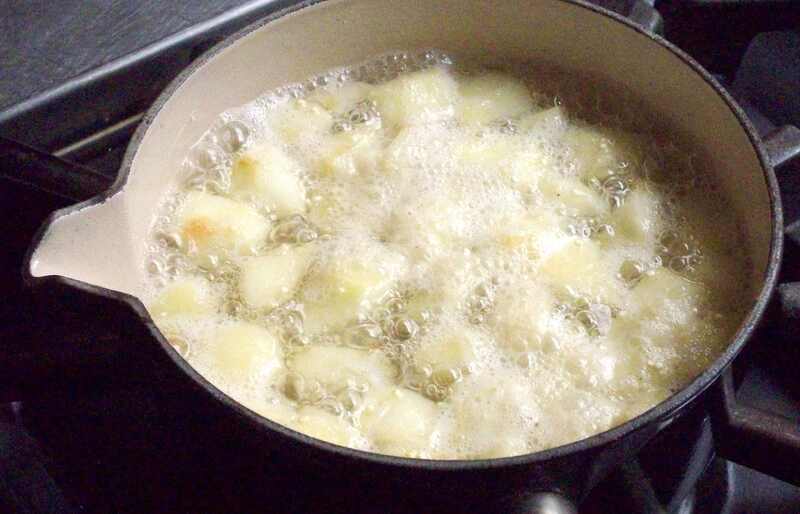 I usually have some for breakfast, just boiling it in water with a cinnamon stick, some cloves, fresh ginger, and a chopped apple, pear or peach. 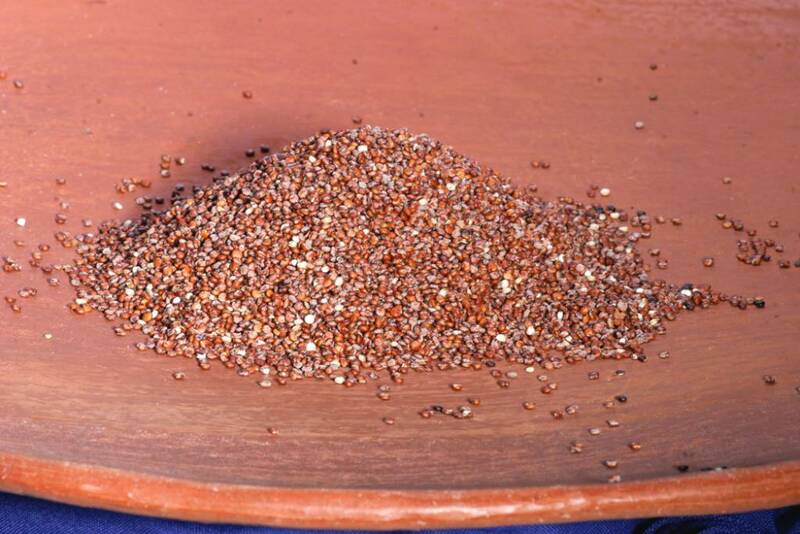 It only takes about 15-20 minutes to cook, and when ready you will see a white ring around each seed. Then I add all kinds of stuff like flax, chia and sesame seeds, cacao nibs, dried coconut, goji berries, nuts, honey…you name it. Sometimes I sweeten it with fresh fruit juice instead of the honey (pineapple is especially delish if it´s mature and sweet enough). Amelia, our cook, puts fresh Maca (commonly known as the “Viagra of the Incas”), into it for an even greater energy boost. You could put some Maca powder into it, -easy to find in supermarkets and stores- but be careful cause the taste can be overpowering. 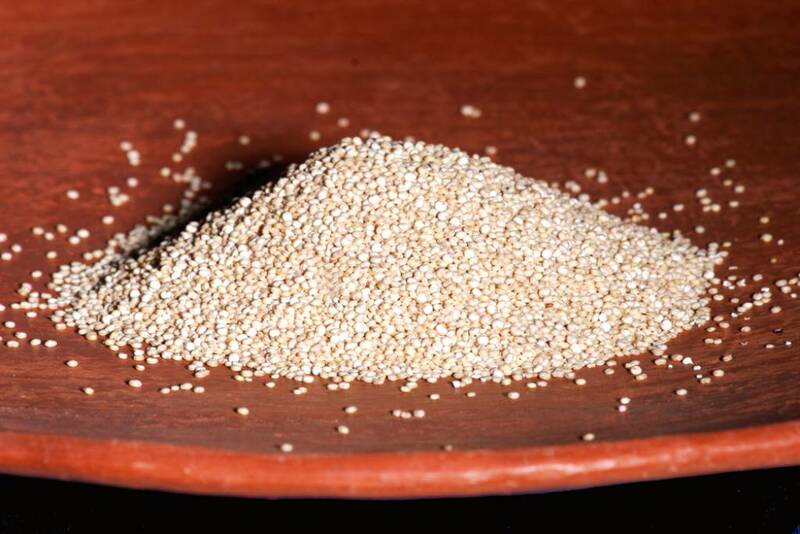 Of the spinach family, Quinoa leaves are eaten raw in the Andes. You can easily sprout the seeds too, for some extra punch in your salads or dishes in general. When sprouted, it´s fun to eat because of its crunchiness, and its taste remains almost intact, unlike other sprouts. It´s incredibly nutritious to eat it this way, so you can have as much as you want and feel good about it! A couple months ago I bought a semi sprouted kind in the supermarket and sprinkled it straight out of the bag over my yogurt and cereal. I found this to be a good way to keep all those nutrients intact, and the crunch just made every bite more interesting. Another way to have this versatile ingredient is to cook it with a little bit of salt (maybe some chopped garlic and onion too), and have it as an accompaniment for any dish (in Peru we have rice as a side dish with every meal, so this is a good alternative). I also let it cool and have it with all kinds of mixed ingredients as a salad (try feta, olives, cubed tomatoes and cucumber, lemon juice, olive oil, salt and pepper for example), or have it as a warm salad or tagine with a mount of bountiful roasted vegetables and herbs on top. This post is making me hungry! But before I end this, I´ll just add that I´ve also made lovely cookies and muffins with both cooked Quinoa, and Quinoa flour. A gluten-free feast! I will share the recipe soon. 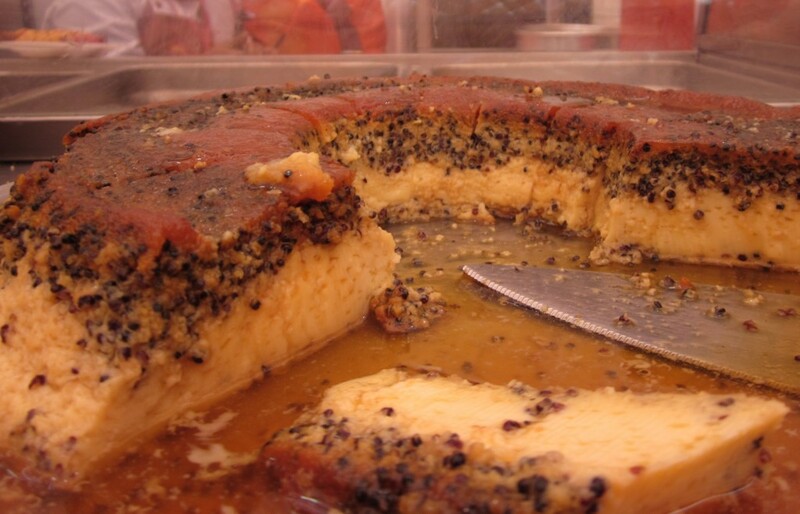 And last week I was at Peru’s biggest food festival and found all kinds of Quinoa products, like brownies, flan, and alfajores. The saleswoman refused to share her recipes with me, but we’ll try to figure them out and share. 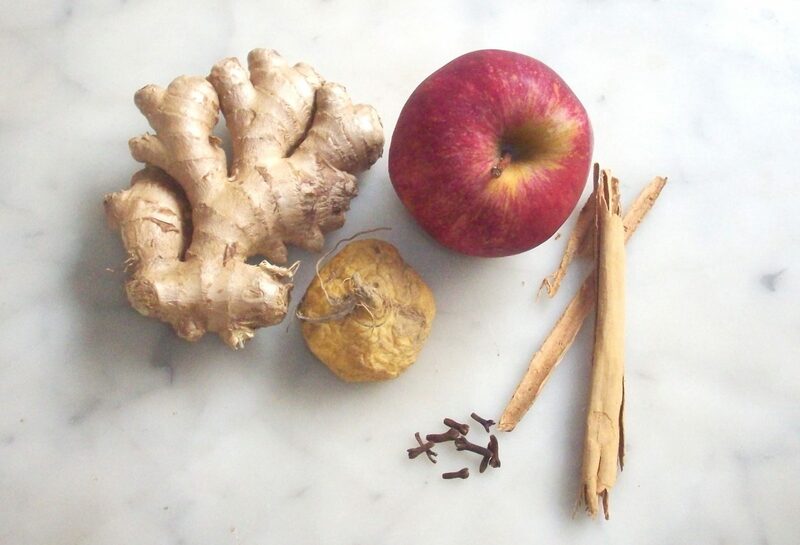 In the meantime, start taking advantage of this wonderful ingredient in all the ways I´ve already recommended. I will go do that right now. 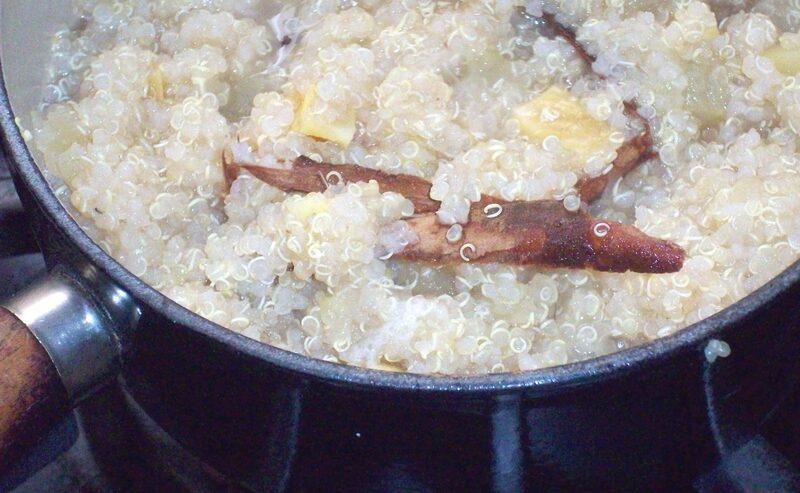 Special thanks to my uncle and wonderful chef Roberto Cuadra, for some of his beautiful Quinoa pictures. I am a huge HUGE fan of quinoa. We eat it a lot. It’s just so small, delicate, yet robust, and very tasty. Thanks for highlighting it! I will have to make sure to include some quinoa on our menu for next week. The pictures of beautiful! I didn’t quinoa could be used in so many different recipes. Now I want to try it! 🙂 Thanks for sharing. The first time I bought quinoa, I was chatting with the check out guy about it but he had no idea what I was talking about because I was saying it as it was spelled. He had to correct me – keenwa. Who’d have known! LOL We love quinoa in our house and use it a lot to stuff peppers. I’m looking to expand our recipes using this book I found online: http://pinterest.com/pin/170898367/ Looking forward to your recipes! 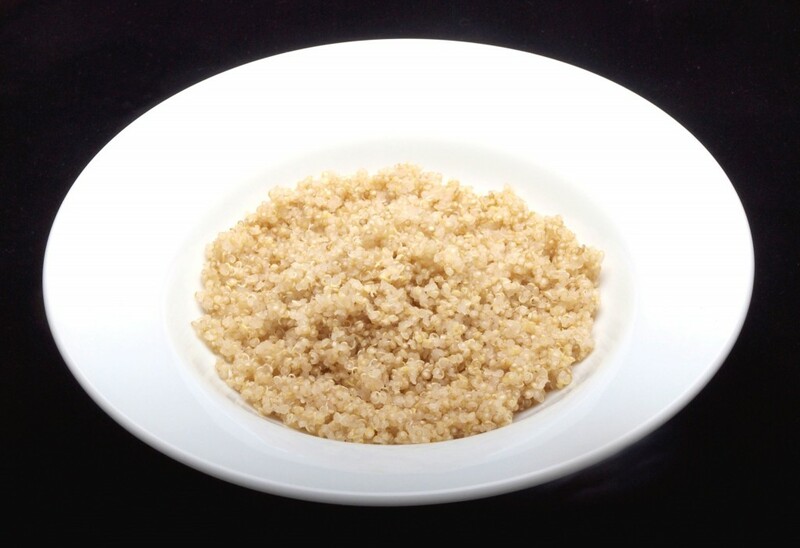 Quinoa is one of our favorites. I cook gluten-free and because quinoa is naturally gluten-free and high in protein I make it often. But I only make it a couple of different ways. Thank you for the great recipe ideas!! I wanted so badly to love quinoa for all the health reasons you mentioned but have not taken to the taste or texture. I didn’t think of making it for breakfast. I hope you post quinoa recipes because I could be persuaded to give this seed another shot. @The Wise Latina Club, I hear ya! Quinoa has a very particular taste that some may not love. Even I get tired of it quite easily. But there are many recipes where it is used to replace rice or other grains, such as in a Quinotto (like Risotto but with Quinoa), and the taste is hidden behind the other ingredients, but all its goodness remains. 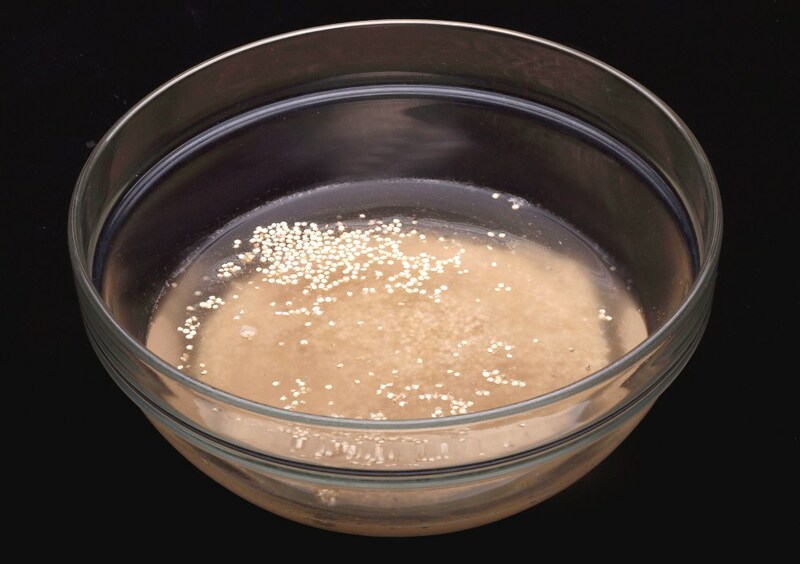 Same goes with the texture, such as when you use Quinoa Flour, or when you make it in stews and soups, where it becomes almost liquid. 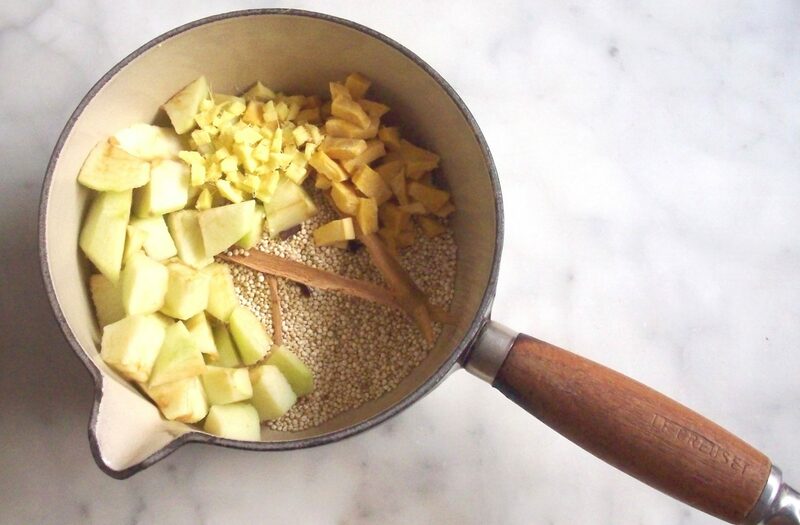 We wonÂ´t disappoint with our Quinoa recipes. Dont give up on it yet! I also feel like a quinoa pioneer now! LOL! I first found out about it during my ultra-mega vegetarian yogi days while i lived in Spain in 2000. When I moved back to Mexico, I could only find it in 1 health food store because there weren’t many organic/healthy stores at that time yet. So, every time I had to travel to the States I would have to make a stop at Whole Foods or such and I would bring a suitcase full of rice milk, vitamins and quinoa! How crazy, no? 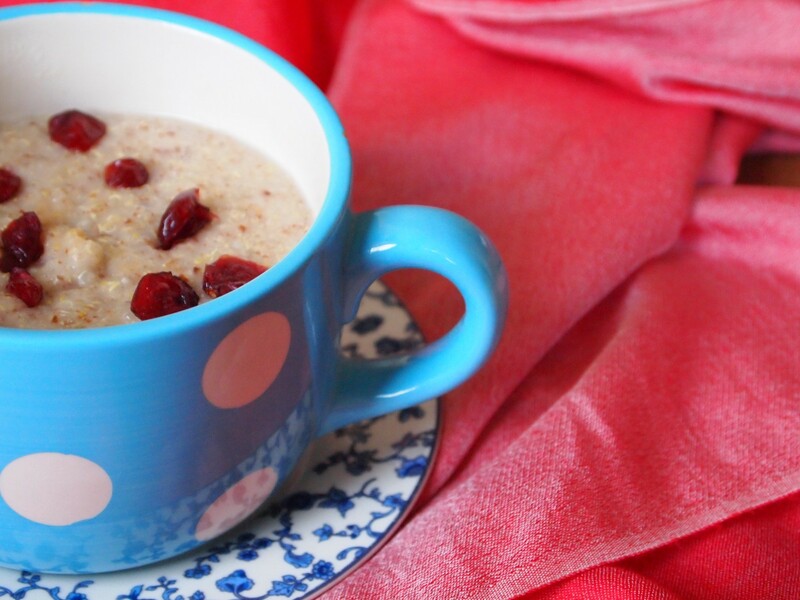 But I’ve never thought about making it for breakfast..loved, loved your idea especially for the colder months coming up! 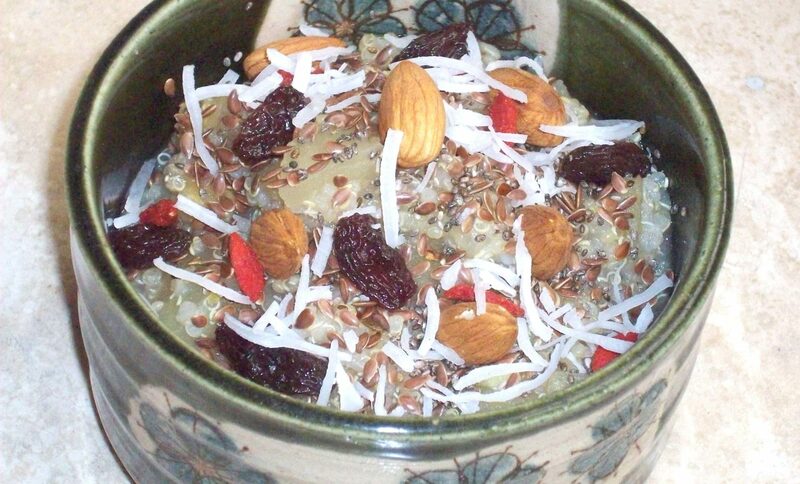 Excellent alternative to my yummy oatmeal that can get boring. What is that shriveled fruit(?) next to the ginger in the picture? Yes Ana, its an excellent substitution for oats, (although i do love my oats). You can have it with yogurt, blueberries, anything you like really. The ingredient you ask about is a root called Maca. You may have heard of it. Its from the Andes, and is commonly known as “the Viagra of the Incas”. It regulates hormones, so its very good for hormone imbalance and specially women who are going through menopause, but also for low sexual stamina. In Peru they say you will most likely get pregnant with twins because of its sexual powers if you or your partner take it 😀 Other than these properties, it gives you tons of energy in general. In the states you can easily find it in pills or powder (in Wholefoods or any health store). The powder has quite a strong earthy taste though, so you should first decide if you like it before adding it to your food or smoothies. When its fresh its much milder. The recipe is kinda in the post. You pretty much just cook the quinoa and mix it with whatever you want, as I describe above 🙂 Can’t get any easier. I’d would like to let tour know that we going to have a festival promoting the Quinoa in Miami, FL . You may be interested to participate or help us to advertisment this program in the ELEVEN ANNUAL ANDEAN FESTIVAL with showcases of the seven Countries that belongs to ANDEAN REGIONS Peru, Bolivia, Ecuador,Chile, Argentina, Venezuela and Colombia. Thans very interesting to know abouth your experiences.